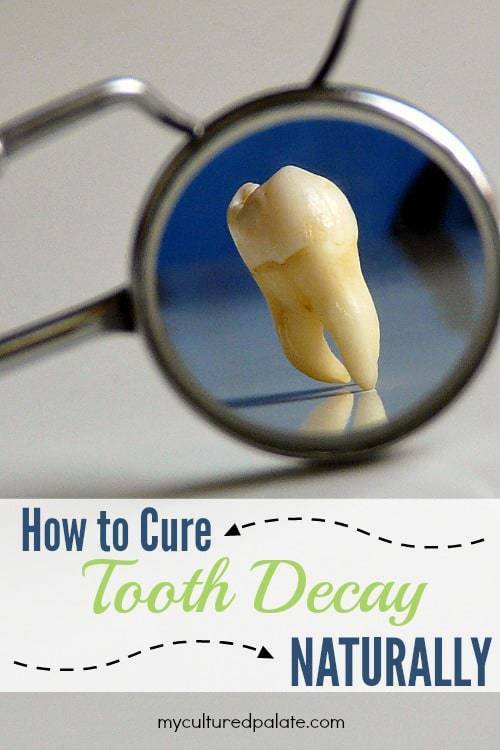 Did you know that it is possible to cure tooth decay? I know you are probably skeptical, but after the slowing of my osteoporosis after being on the GAPS diet, I am convinced that it is possible! I had read about tooth remineralization before and now I am reading a book purchases from my affiliate partner, “Cure Tooth Decay” by Ramiel Nagel. Mr. Nagel, prompted by his daughter’s severe tooth decay, details the results of his research and the reversal of her tooth decay through diet. Dr. Nagel cites research which includes Dr. Weston A. 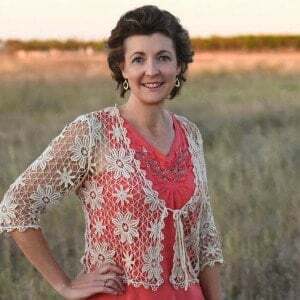 Price who, as a dentist, gathered information about people throughout the world correlating their dietary practices with their dental health. From dental decay to the alignment of the teeth, the pictures shown and research given, give a clear distinction of those with a good diet including traditional methods of food preparation and those with dietary deficiencies. Stephan Guyenet, the author of Whole Health Source, has a couple of excellent posts on tooth decay, Preventing Tooth Decay and Reversing Tooth Decay. He cites the research of Sir Edward Mellanby, the discoverer of vitamin D, who along with his wife, Dr. May Mellanby, identified dietary factors that control the formation and repair of teeth and bones. Teeth and bones are a mineralized protein scaffold. Vitamin D influences the quality of the protein scaffold that’s laid down. For the scaffold to mineralize, the diet has to contain enough minerals, primarily calcium and phosphorus. Vitamin D allows the digestive system to absorb the minerals, but it can only absorb them if they aren’t bound by phytic acid. Phytic acid is an anti-nutrient found primarily in unfermented seeds such as grains. So the process depends on getting minerals (sufficient minerals in the diet and low phytic acid) and putting them in the right place (fat-soluble vitamins). Phytic acid is found within the hulls of nuts, seeds, and grains. In-home food preparation techniques can reduce the phytic acid in all of these foods. Simply cooking the food will reduce the phytic acid to some degree. More effective methods are soaking in an acid medium, lactic acid fermentation, and sprouting. Phytic acid has a strong binding affinity to important minerals, such as calcium, magnesium, iron, and zinc. When a mineral binds to phytic acid, it becomes insoluble, precipitates and will be nonabsorbable in the intestines. This process can therefore contribute to mineral deficiencies. As Mr. Nagel clearly states and Dr. Edward Mellanby’s research corroborates, the teeth can heal themselves by cells called odontoblasts, found in the pulp of each tooth, which form new dentin if the diet is good. What constitutes a “good” diet? A diet high in animal fats and especially from pastured animals. These are rich sources of the 4 fat soluble vitamins A, D, E, K. The fat soluble vitamins are found in butter, eggs, liver, organ meats, seafood and cod liver oil. A diet low in phytic acid. This does not necessarily mean a grain free diet, although in severe cases of tooth decay, it is recommended for a time. But, it does mean that when grains are consumed, they be prepared properly through soaking, sprouting or fermentation to neutralize the phytic acid. Proper grain preparation is vital to mineral absorption. Daily intake of cod liver oil and especially a fermented cod liver oil/ butter oil blend which is high in the fat soluble vitamins, A, D,E, and K.
No processed sugar including white sugar, high fructose corn syrup and cane sugar. Use only unheated (raw) honey. Modern dentistry usually only provides short term results and has never promised to prevent future cavities. Don’t get me wrong, there is a definite place for modern dentistry and the procedures offered. But, there is more to be had! Our modern diets are deficient in the fat-soluble vitamins and minerals needed for healthy teeth and bones and high in phytic acid which prevents the absorption of those needed minerals. It is time to educate ourselves, take responsibility for our health and risk being politically incorrect! Decorate on a Budget - To Paint or Not to Paint? I think one of the reasons why we’re seeing so many kids with issues of teeth decay is because of what they’re eating. I don’t think the proper education is being given to them at a young age about this issue which results in a lot of them not knowing and continuing to eat what they do. What about if you are vegetarian? It said a diet high in animal fats.. What options do i have to prevent/fix tooth decay? Danika, everything I have read stresses the importance of good quality animal fats so I really don’t know – maybe a reader has some suggestions??? Hello, I am having severe problems with my son’s 4 front teeth he is only 18 months and theppediatric dentist want to pull his four front teeth and he also has fillings that need to be done on the back teeth. I am very concerned and do not want them pulled for several reasons and a big factor is that will have to put him to sleep in order to get this done. Also they haven’t done any xrays but it appears to be a severe decay down to the dentist layer. Any opinions as to weather you believe they should be pulled or are his teeth saveable through this diet? Heather, I really am not able to advise you about his teeth but as a mom, I too would be looking for alternatives first. I think Cure Tooth Decay Naturally (affiliate link) would be a wonderful resource to help. According to the author and testimonials, you have nothing to lose. And, I can attest to the fact that this has improved my bone density – verified by scans! 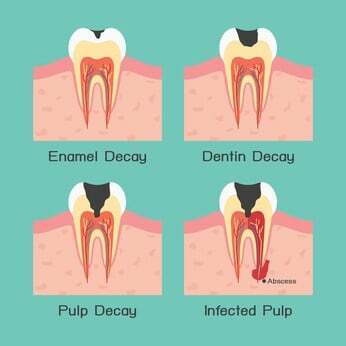 Hi, I’ve been researching on how to cure tooth decay/cavities. I have a lot of cavities. I brush my teeth 3 times a day. I am not eating foods that can cause cavities, but I noticed that my one tooth is starting to have cavity again. I also have filling, (a lot of filling). and my dentist told us that I needed have a porcelain crown on my tooth. I am very sad! I am conscious. I dont know what I will gonna do. Now I am looking forward on this. I have severe arthritis. And degenerate disk desease it is causingbone loss in my mouth. Anyone help with something Ican do!!!!!!! Donna, I had life changing results with the GAPS diet. I had rheumatoid arthritis and my hand were so painful that my husband had to cut my pancakes in the morning. I also could hardly walk unless the pavement was very smooth – no dirt roads for me which is what we have all around us! I have linked to the review of the book which is all I used to follow the diet and here is GAPS – My Experience. Troy, I appreciate your input! I do agree that dentist and doctors do have their place and I am not advocating ignoring a cavity at all. This does give a good alternative for those who are willing to take the steps necessary. Those people are also going to be monitoring their progress closely and hopefully, if decay does continue, will seek a dentist. This is just my opinion but, I think people willing to take these steps, are very in tune with their physical well being and will be hopefully be alert to changes for the worst.